Filipinos love to eat. That's a fact. Especially now with the digital media era where we're always on the lookout for the latest food trends or almost every new restaurant that pops out in the metro. 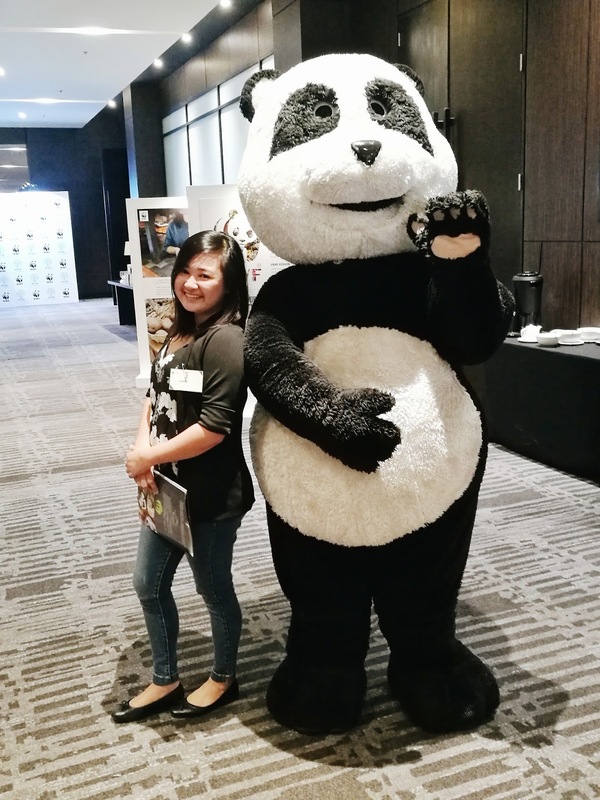 With this, WWF (World Wide Fund for Nature) Philippines held a forum last September 26, to launch their pioneer project on sustainable consumption and production, The Sustainable Diner: A Key Ingredient for Sustainable Tourism. And I was very fortunate to be one of the few bloggers who got invited to attend. They invited people representing the different sectors to take part in the launching: the Filipino dining public or simply the consumers, the local government units, and the food service industry. It was a day-long session and I would like to share to you what has been discussed and the things I have learned from the Sustainable Diner forum. 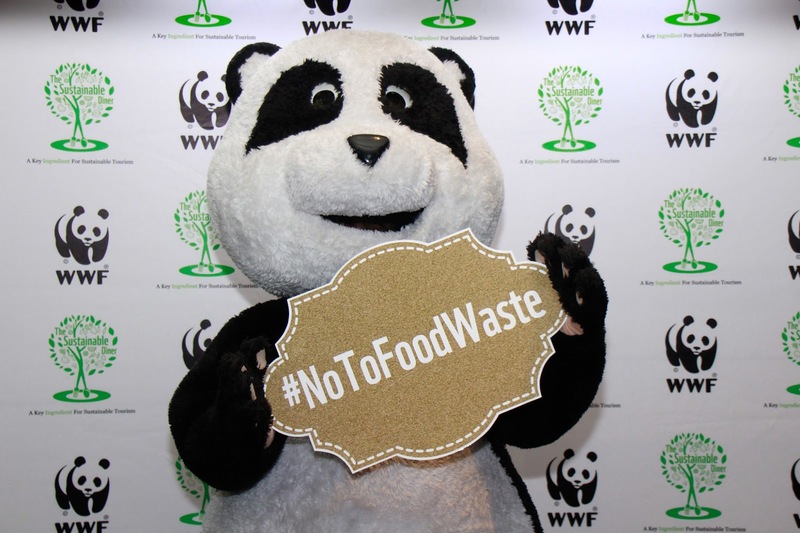 The Sustainable Diner project, just to give you an overview, is under WWF Philippines Sustainable Consumption and Production and is a part of the International Climate Initiative (IKI). Supported by the German Federal Ministry of Environment, Nature Conservation, Building, and Nuclear Safety, WWF Philippines hopes to connect the Filipino dining public with the government and food service industry stakeholders to have a productive and collaborative discussion on the changes that can be implemented in order to make the local dining scene more sustainable. 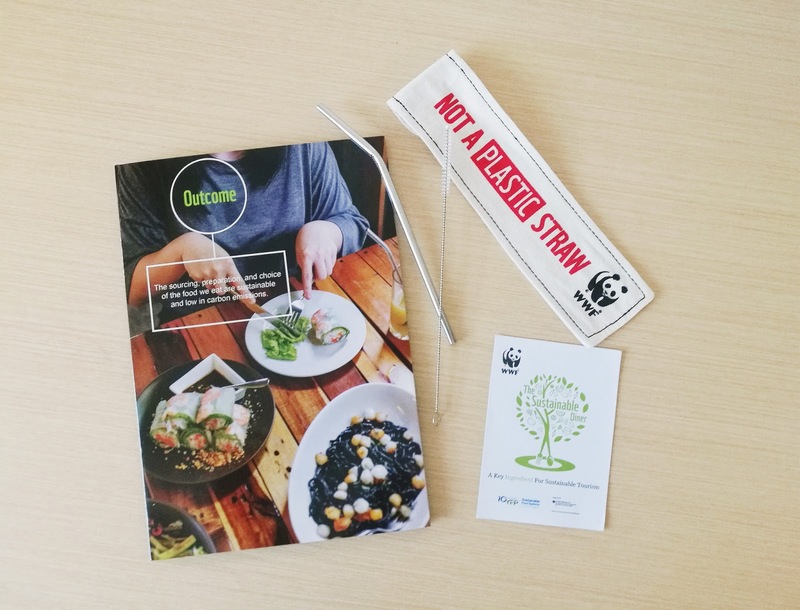 In short, WWF Philippines wants us, especially the Filipino diners and consumers, to start learning and practicing sustainable dining within ourselves first and then help spread awareness and invite everyone to do the same. So here, let me share to you the 3 key points I have learned from the forum and will definitely practice myself. And I hope after reading this, you'll start doing it as well. This is a no-brainer for everyone since this has been taught to us in our schools. Plastics are harmful to the environment. I can tell you a lot of reasons why using plastic is not good but that would make this post lengthy and boring. Plus you can find it all on the internet too. So anyway, I know that here in the Philippines, a lot of establishments especially supermarkets have already implemented "No Plastic Bag" days which is really good. But that doesn't end there. To be sustainable diners, we need to be more aware of our food containers and food "accessories". We have plastic straws, for one. I, myself love dining at fastfood chains and I use their plastic straws all the time. Imagine how that tiny straw can contribute into harming our environment. A little goes a long way, so they say. So if we start saying no to plastic straws (buy the reusable ones instead or drink your cups without the straw), plastic bags, and plastic food containers, it can already GREATLY help lessen our nation's plastic consumption. And in the long run, do less harm to Mother Nature. Did you know that Filipinos waste up to 308,000 tons of rice every year? But ironically, 2.7 million Filipino families have also reported going hungry in the first quarter of the current year. Imagine that! I know we love dining at restaurants that have huge servings because we think and we feel that it's just right for the price that we paid for. It's true... somehow. But when we consider huge servings when choosing where to dine in, let's just make sure that we finish the whole plate and leave no leftovers. Imagine that a percentage of what you paid for goes to trash. It's not just a waste of money but a waste of food too. If you can't eat everything in one seating, ask the staff to have your food packed for takeaway. Let us all be responsible diners and minimize food wastage by making sure we're ordering just the right amount of food. 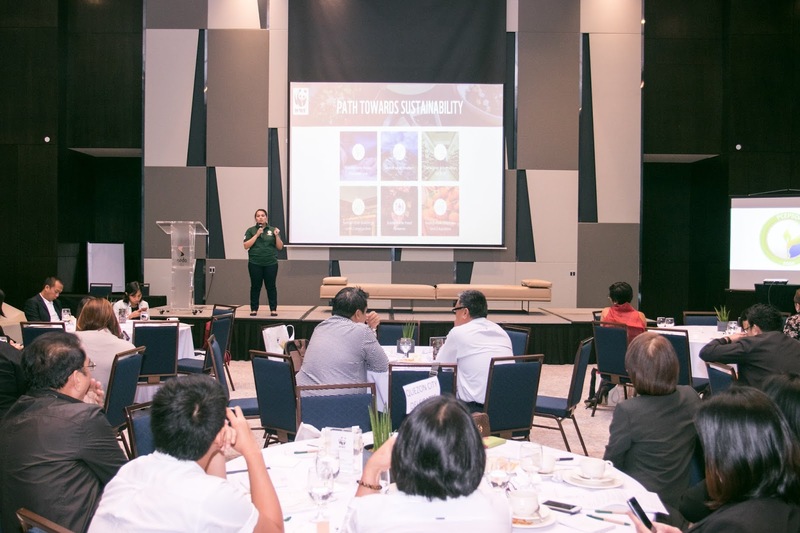 According to Joel Palma, President and CEO of WWF-Philippines, it's the choices that we make that can help transform both the food service industry and the tourism industry, which are the key ingredients towards achieving a more sustainable Philippines. Because in the end, we get to realize, that the change that we are looking for starts within ourselves. It is you, the sustainable diner, are the key to sustainable tourism. YES YES YES YES. I'm really big on saying no to plastic; I'm glad they focused on that topic at this form! Yes! Hopefully Filipinos will adapt to this change!